Even though the sun is still shining, it feels a little bit too late in the season to be investing in more summer clothes. So the smart money is on pieces that you can wear now but that will also work in the autumn. 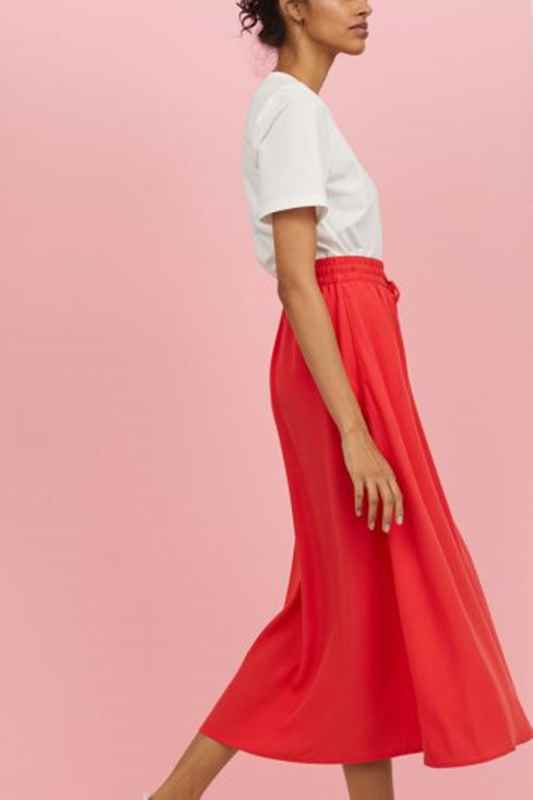 The solution is simple: a midi skirt. 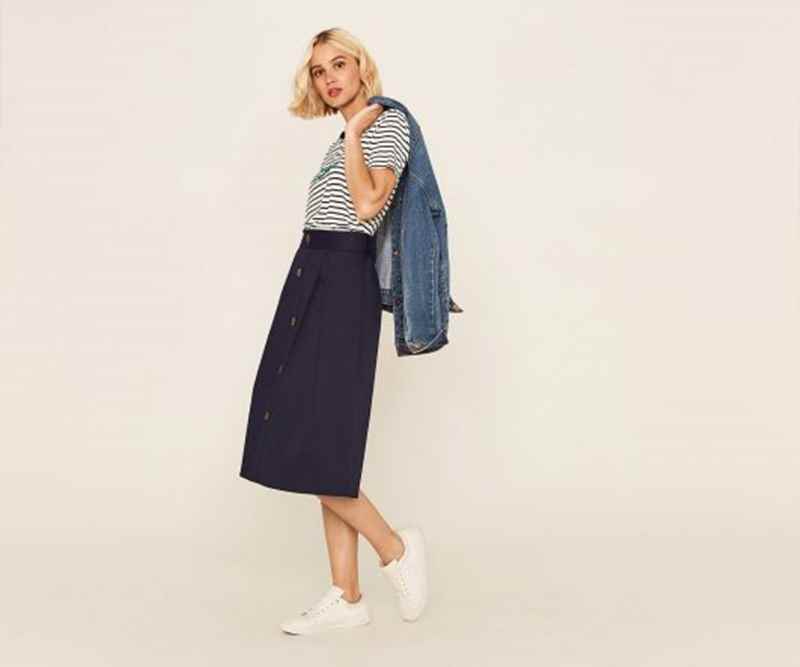 And if the low stock levels on lots of these pieces is anything to go by, then retailers are also cottoning on to promoting the versatility of their new skirts collections. Wear it now with a simple tee or camisole worn tucked in and with sandals, trainers or espadrilles. If needs be, add a denim jacket for a layer. Then for the autumn and winter, add a sweater, ankle boots and a biker. And you honestly won’t look back – lots of different looks from one piece and a cost per wear to make even the most parsimonious smile. Boxes ticked on all fronts. Plus this is something you can wear to work, out for play, casually. 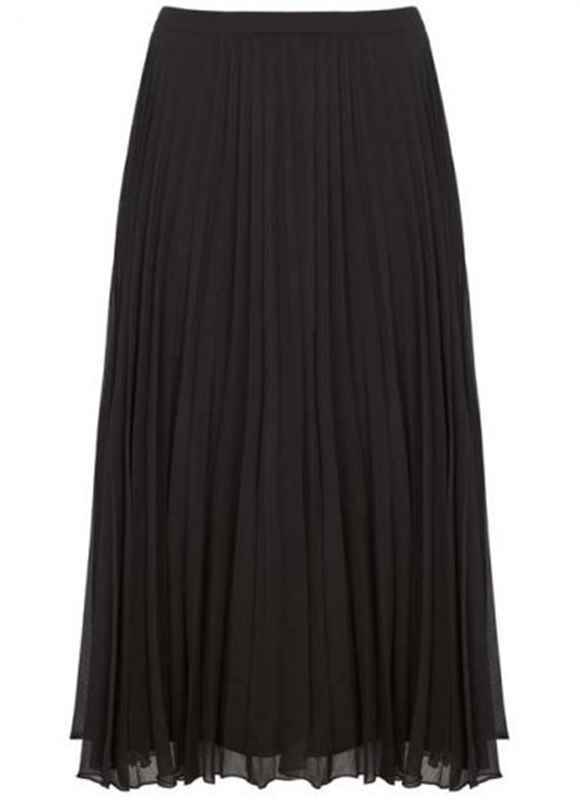 If you aren’t sure if a pleated number is right for you, then try this Calf-Length Skirt £19.99 from H&M. I have this in the orange and it has been so useful. 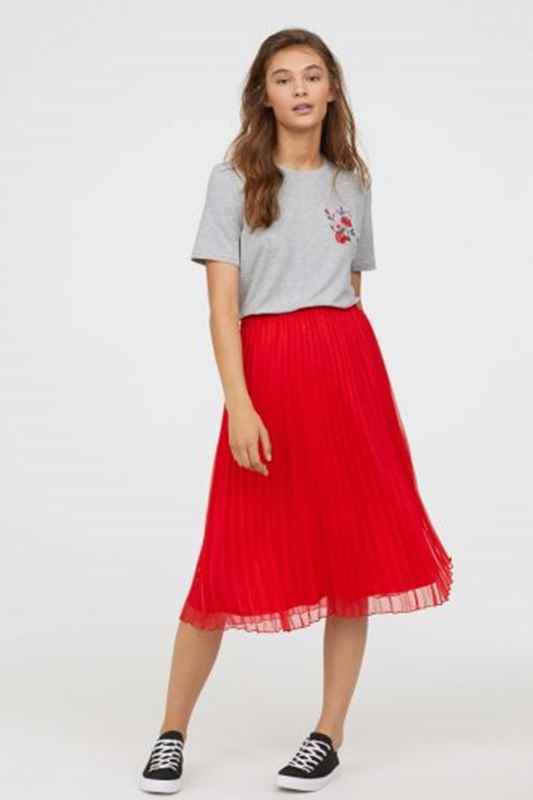 Or this Button Midi Skirt £40 from Oasis which looks spot on for now with the stripe tee and trainers. Swap the tee for a fine knit and ankle boots. 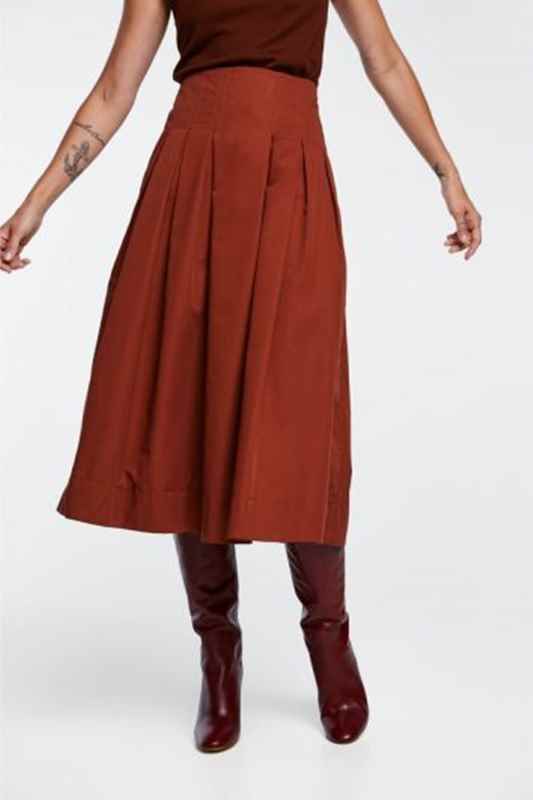 In a similar vein, Zara has this Pleated Skirt £29.99 in this gorgeous brick colour. 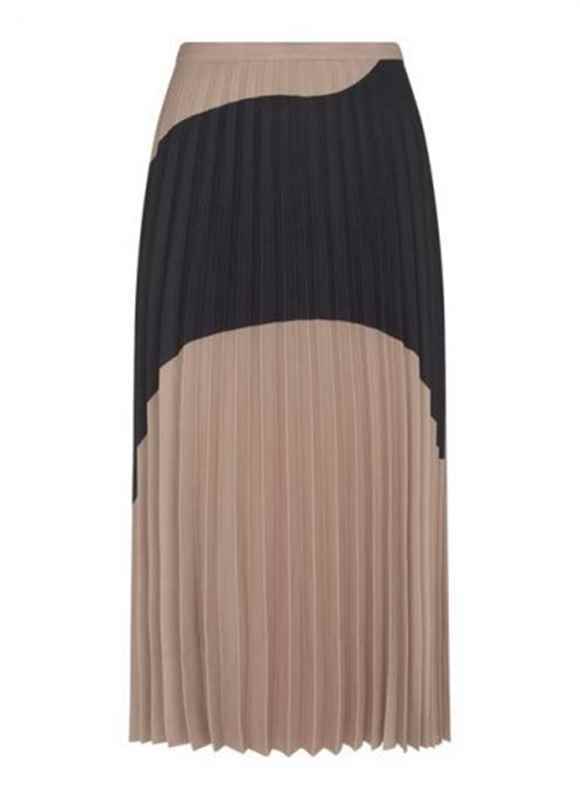 This is a bit shorter, but a goodie nonetheless: Pleated Skirt £19.99 from H&M. This chevron stripe style from H&M is brilliant either with black/cream tops and tees now or add a black roll neck, crew or even a slogan sweater as an alternative: Stripe Skirt £34.99. It also comes in a spot although the styling makes this look a touch frumpy. A pair of trainers and tee or a slogan knit and biker with ankle boots would do the trick. 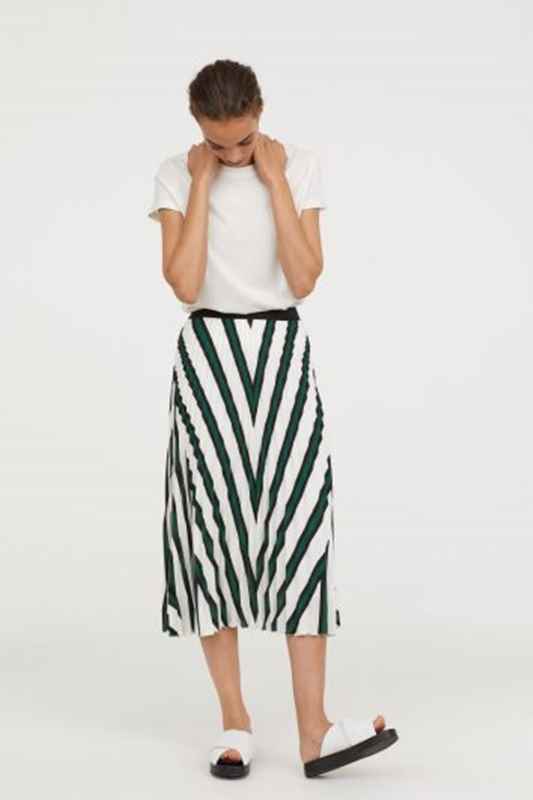 Back to stripes and there is this Wave Print Pleated Skirt £99 from Mint Velvet. Topshop has several striped options but already most are sold out in various sizes. 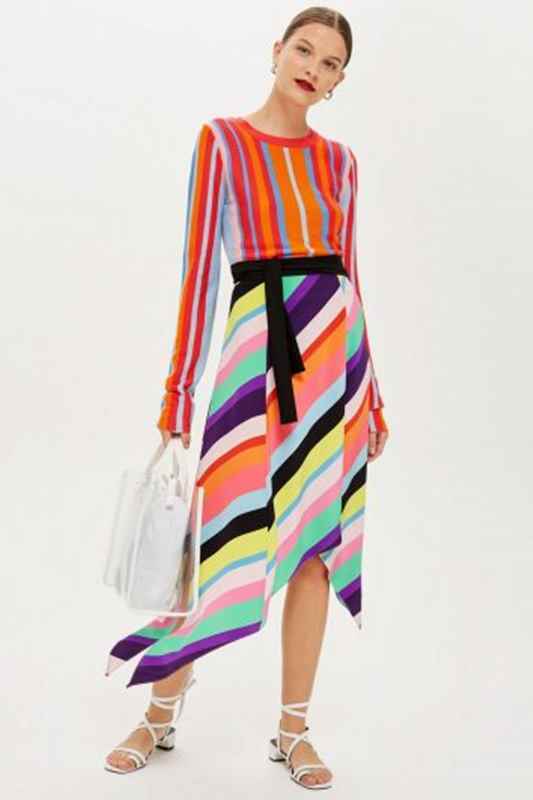 This Rainbow Stripe Midi Skirt £36 is only available in 4 – 10 but would be gorgeous now or later with a biker. Or Zara’s Striped Midi Skirt with Belt £29.99 looks great with these burgundy boots. There is a lot of animal about and several animal print skirts have become Insta-famous. 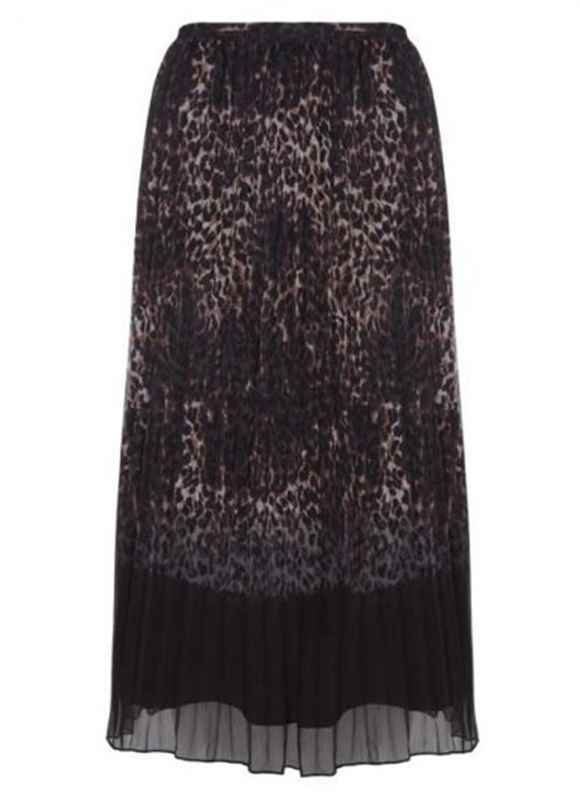 If you missed out, then try this Ellen Print Pleated Skirt from Mint Velvet £99. 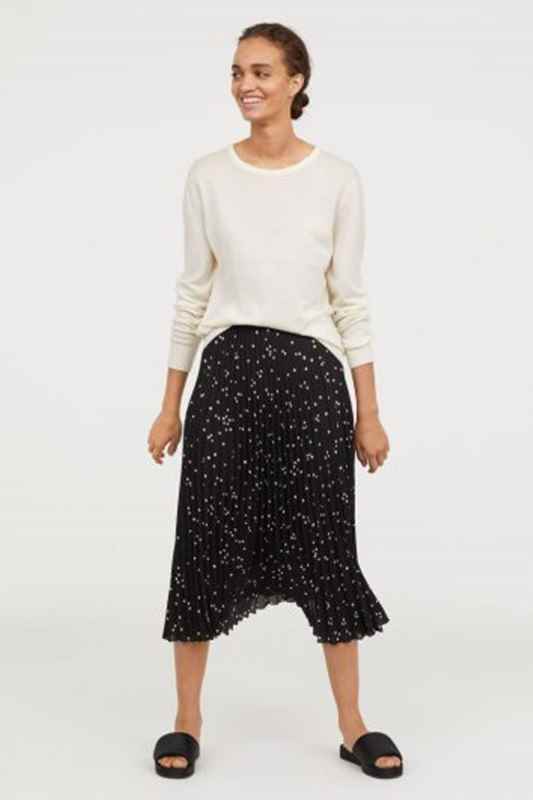 Annoyingly I can’t copy the image of the skirt as it is styled on their site but it looks great with ankle boots and a fine sweater. 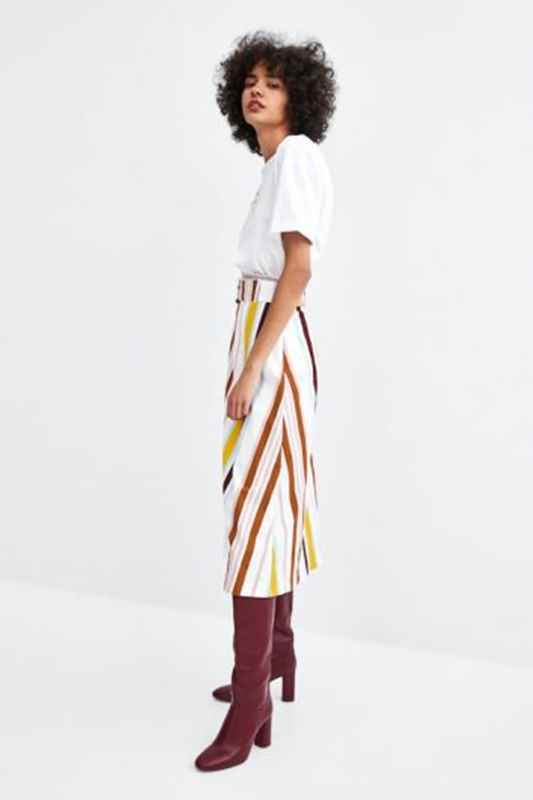 If you are feeling bold, then they also have the Salma Print Handkerchief Skirt £99 which is styled with a plain white tee and trainers. The asymmetric hem is another ‘thing’ in fashion terms so bonus points here. 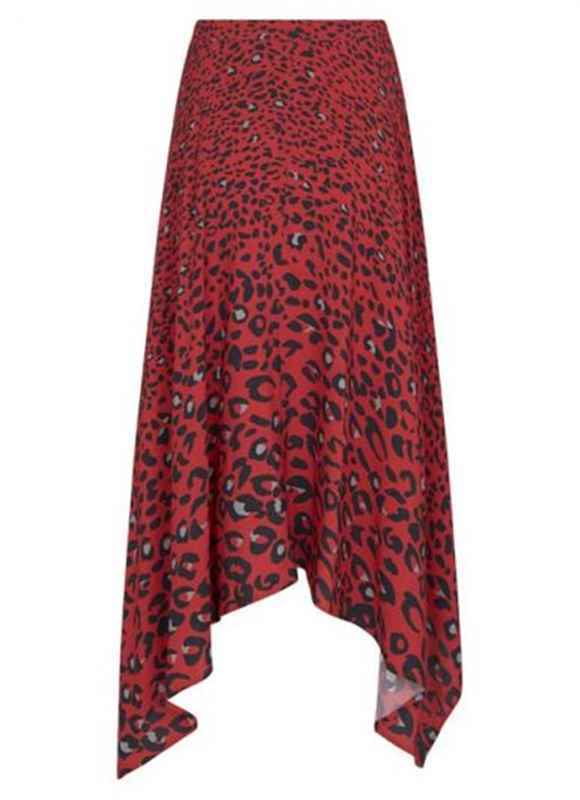 Bigger bucks will buy you this fab Gracie midi wrap skirt £225 from Rixo but again it is already sold out in some sizes. 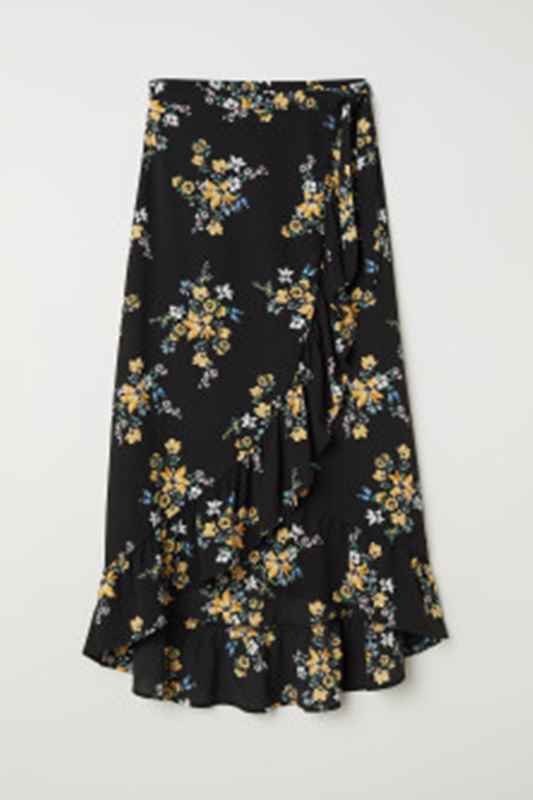 Or Topshop’s Linear Floral Midi Skirt £42. Am not totally sure about the flounces and frills on these two floral numbers personally but this dancing emoji lady look is definitely on trend. Watch this space for knitted pleat skirts which is where we are headed for the autumn. I had a vintage teal one that I thought I might have stashed in the dressing up box but alas I must have got rid of it. Hindsight is a wonderful thing. This is the perfect blog post for me – I struggle with skirts even in summer and these are fab options. Thank you! Ah my pleasure – glad you’ve found something here!